How to display new custom fields in RTF template-based documents? When creating or editing custom fields you will see a box called "Variable". That is where you define the variable's "template name". 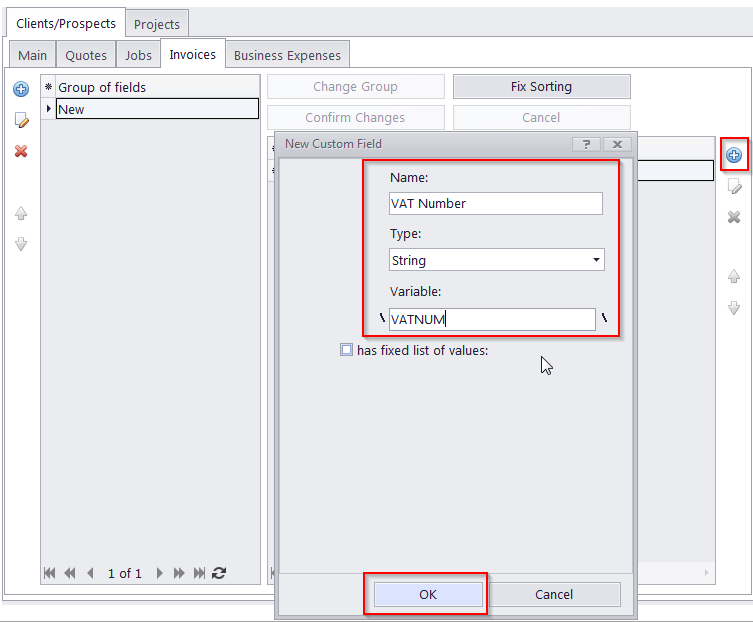 Just edit the template in "Corporate/Business Settings >> Templates" and add the new variable to it.